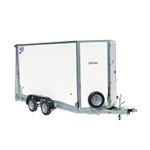 Paraic O’Haire Trailers presents the Ifor Williams range of Box Vans for sale in Mayo. The Box Van from Ifor Williams is light enough to two behind a family car and is ideal for domestic, leisure and small business use and are available in braked and unbraked models. 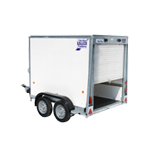 This versatile trailer is great for storing and transporting goods in privacy and under the cover of a roof protecting its contents from the elements. 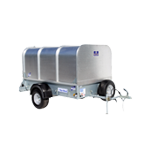 Ifor Williams Trailer box vans are available in a choice of three height options, three width and four length options. Smaller models are available with a choice of single or twin axles. 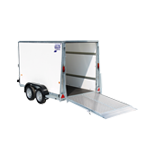 Ifor Williams Box Vans are sold with roller shutter, combination ramp doors or van rear doors, ensuring the trailer meets the demands of everyday use. The white coated side panels are tough, smart and easy to clean. 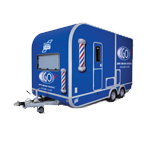 They provide the classic ‘blank canvas’ ready to be sign-written and ideal for pre-cut vinyl graphics and logos. 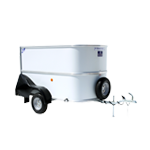 Whatever you need to carry, there’s an Ifor Williams Box Van to suit your needs. 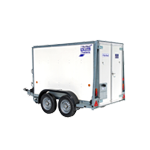 Take a look at the features and you’ll find practicality, durability and reliability built in. Click on the options below for further details.